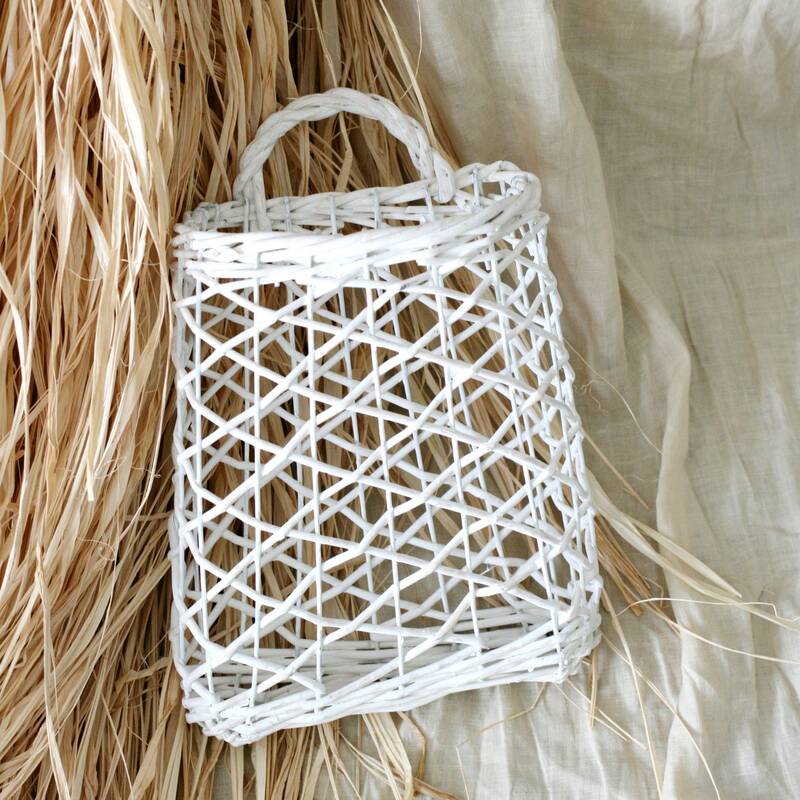 Vintage white washed wicker basketwall basket planter with a handle for hanging. Sturdy woven basket with wire and wicker. Item exactly as described, shipping was really fast, and everything was packaged carefully. I purchased multiple items and they arrived in just a few days. Communication with the seller was quick and lovely. Thank you! Item exactly as described, shipping was really fast, and everything was packaged carefully. Thanks! Item exactly as described, shipping was really fast, and everything was packaged carefully. I love this lil bowl. Thank you!